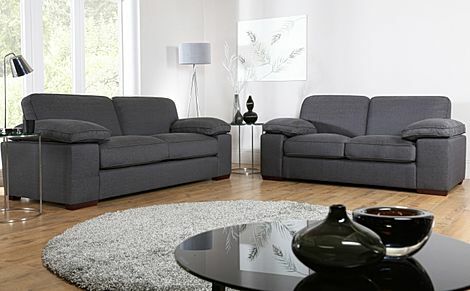 Soft cushions, plump arms and a deep seat sum up the ultra-comfy Cassie sofas. Designed to ensure total relaxation, this sofa suite boasts a casual yet neatly tailored shape. Its seat and back cushions are well-padded for that extra oomph, and are detachable for easy cleaning and care. In this set, you would immediately have a complete and cosy look for your living room. With a frame built from solid hardwood, this hardwearing sofa suite lends itself well to a variety of interior styles, with its own laid-back, comfy appeal.